short girl, long island. : Interview with Sharon Lee of Hello Cavities + A Special Discount! Interview with Sharon Lee of Hello Cavities + A Special Discount! While perusing Instagram, I came across this insanely awesome shirt, based off of Disney’s The Little Mermaid. 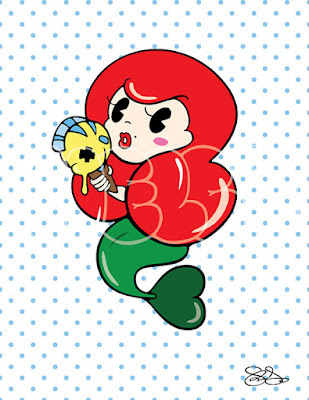 It featured Ariel and her counterpart, Flounder. I fell in love immediately – I needed this shirt! After doing some research, I was led to Hello Cavities, the company that created this killer shirt, among other goodies. I wound up speaking with Sharon Lee, the gal behind these super cute designs. She’s an ultra sweet girl with an eye for kawaii. Sharon was gracious enough to be interviewed by short girl, long island. Hi, Sharon! Tell us a little bit about yourself. I’m 23 years old and I live in Los Angeles. I studied Graphic Design at FIDM (Fashion Institute of Design and Merchandising) and graduated last year. When did you start Hello Cavities? 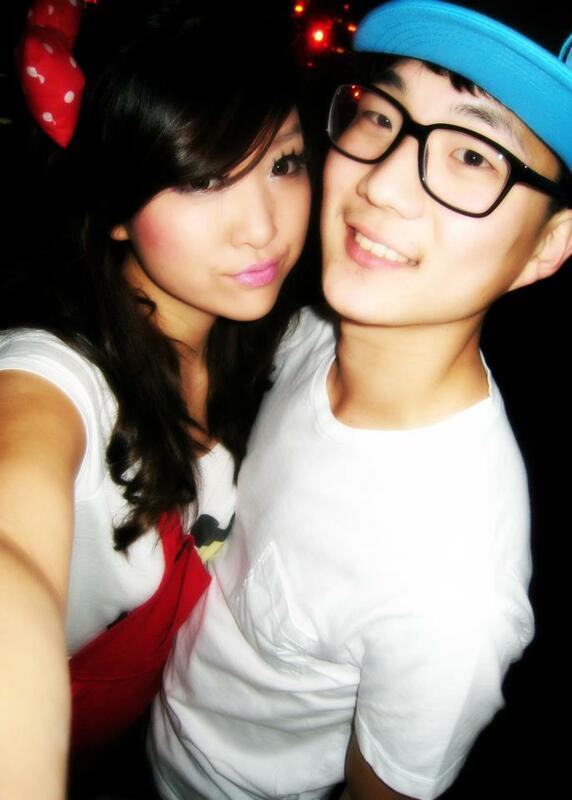 A few months after graduating, I decided to start the company, which consists of me and my boyfriend, James. Sharon and James, the dynamic duo behind Hello Cavities. How did you choose the name Hello Cavities? It was a joke between my friend and I about the movie The Silence of the Lambs. When Hannibal says "Hello Clarice" I used to say "Hello Calories" (you know, because he eats humans, haha). When it came to naming my brand, I decided to go with a spin-off of that phrase and came up with “Hello Cavities." I liked it because it sounded sweet, yet dark – a perfect reflection of my artwork. The concept of our brand is to be overly indulgent with the sweeter things in life! What were some of the first Hello Cavities items you created? The prints inspired by The Little Mermaid, Cinderella, Minnie, and Snow White. One of the first creations, inspired by The Little Mermaid. I love the characters you have created. I’ve never seen anything like it before, which made me reach out to you. What inspires you? Most of the designs I have right now are inspired by Disney – I am a HUGE fan! Will there be seeing recurring characters, and maybe some new ones in the next Hello Cavities collection? Starting with my next collection, I’m going to have more original characters and hopefully develop a storyline behind the girl you see in the designs! Awesome, I can’t wait to see what’s next! As of right now, you sell a variety of items in your Esty store – postcards, sticker packs, prints, puffy bow barrettes and shirts. Are there any other items you plan on adding to the store? PLUSHIES! I am hoping to have plushies of Gooey the Angler Fish within a few months! Other than that, we are a graphic tee based company, so many many more shirts! Best of luck to you and Hello Cavities, Sharon. I can’t wait to see what you’re going to come up with next! Check out Hello Cavities on Facebook, Blogger, Etsy and Instagram. Special for short girl, long island readers: 10% discount in the Hello Cavities Etsy store when you use the code sgli10. Did you enter the giveaway that is up? It runs until March 15.